Heineken Lager Beer (Dutch: Heineken Pilsener), or simply Heineken, is a pale lager beer with 5% alcohol by volume produced by the Dutch brewing company Heineken International. 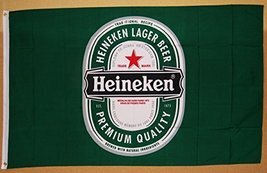 Heine International is a Dutch brewing company founded on July 20, 1864. 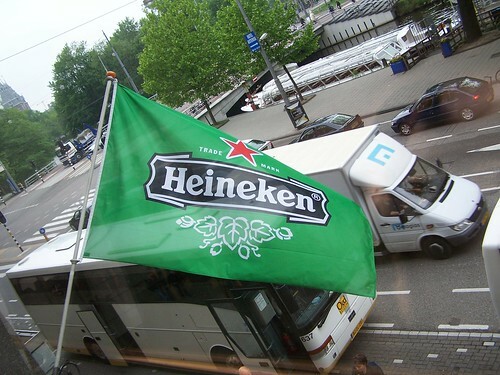 The flag of Heineken (and of Heineken International) is the red star logo between the words trade mark on both sides, in white, and below the name in white, as seen here. green field with the word "Heineken" in white in the center, shifted toward the fly, and the red star fimbriated white toward the hoist next to the "H" here. 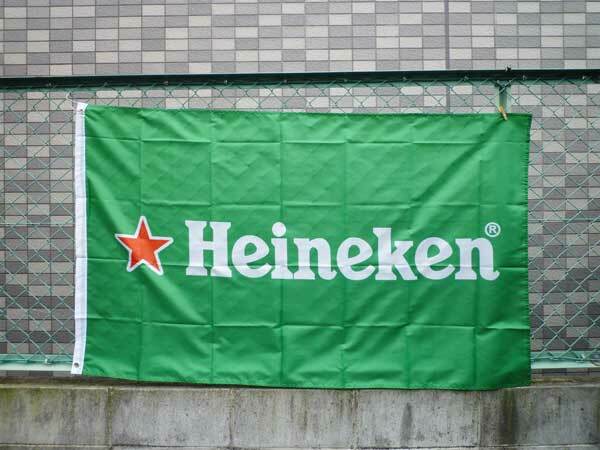 green field with "Heineken®" in white on a black banner, the red star and white words "TRADE" "MARK" above and a green and white leaf arrangement below here. circular Heineken logo centered on a field per saltire green and white here. green field with an oval Heineken logo in full color here.